Friends from that part of the world call me Punjaabi Naga. The people there have bestowed me with immense love and affection. How can one not reciprocate when one encounters people who welcome guests with the warmth of winter sunshine? Over years of traveling in and living in and out of Nagaland, I feel at home completely. Renowned anthropologist, Professor Alan Macfarlane (University of Cambridge) observes that researchers and anthropologists returning from Naga Hills comment on the magnificent and unique Naga, and administrative officers longing to be posted to Naga areas take a liking to them even before setting foot on their soil. While British anthropologist Verrier Elwin summarises, “They are strong and self reliant, good to look at, with an unerring instinct for colour and design, friendly and cheerful, with keen sense of humour, gifted with splendid dances and a love for song.” Some European observers called the Nagas an ethnographic chaos not as derogation, but because they failed to fully understand this vast panorama of people who had certain similarities, but in a majority of ways different from each other. On my latest visit to Nagaland to attend the Peren Roadshow at the invitation of the very progressive DC of the Peren Mrs. Khrieno, certain beliefs reinforced themselves. Nagas are musical people. While we were enjoying an evening of fun and frolic, the Chief Minister of the state along with some of his Cabinet Ministers picked up the guitar to strum “Wonderful tonight…” the musical journey meandered from Bob Marley to Eric Clapton. 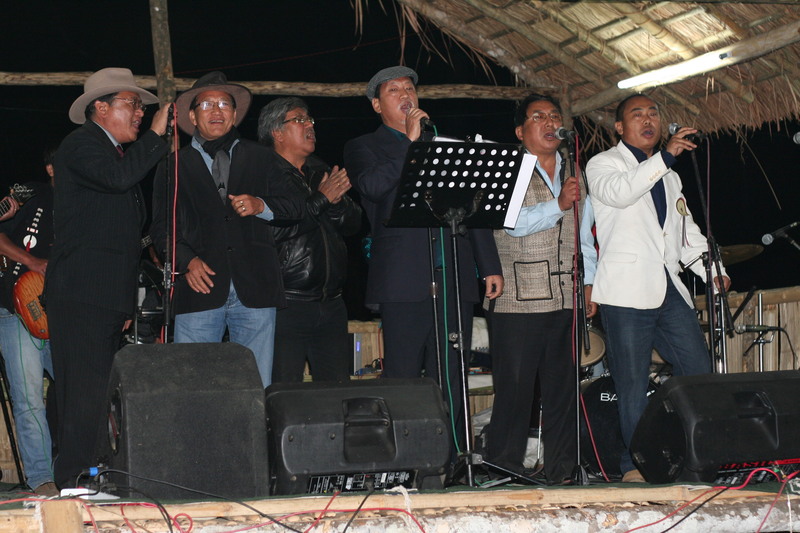 Where in India, but the North East will you find politicians rocking on stage with a guitar?Music is in their blood. District of Peren: The district was carved out of Kohima and was declared the 11th district of the state of Nagaland on 11th February 2003. Peren town- its headquarter, was established on 1st April 1945 by the British for administrative convenience. The Village: The Lekie (now Peletkie) village I mentioned at the beginning of this article is located atop a few hills at the height of 1446 meters. The Government is trying to rename the village as Lekie considering its unique mineral salt. Lekie has two satellite villages-Jalukie and Deukoram. Both of these villages have become separate entities only in the recent past, hence customarily it is implied that any defaulting member from one of these villages who has been ostracized cannot take shelter in either of these villages. A magnificent natural phenomenon in this village is the presence of mineral salt springs known as ‘Kezai Dui’ and ‘Kezai Dui Tekwa’. These springs have never dried so far. The locals extract a mineral salt named ‘Lekie Cai’ from the waters through an indigenous procedure. The springs are in close proximity-almost one kilometer of each other. A Sprinkle of Salt-Lekie Cai: Though mineral salt can be made throughout the year, the best time to make the salt is during the months of February, March and April. Mineral salt is made by the process of continuously boiling the mineral salt water. During October-November, trees are felled in the jungle for use during mineral salt making. By January the felled trees are cut into sections of three feet approximately and it is transported in cane/bamboo baskets. It takes about 100 baskets of firewood and about 400 local jars of mineral salt water to make 40 cakes of mineral salts. 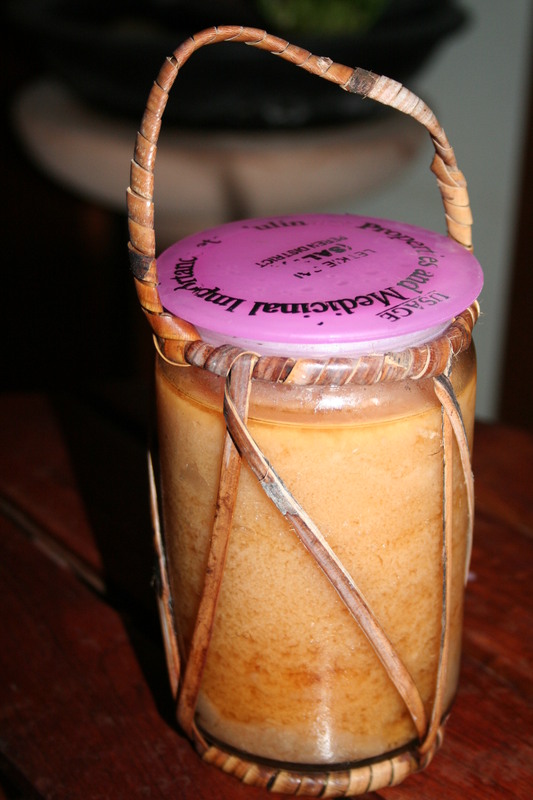 A local jar of mineral salt water is equal to ten litres and it takes about seven days and five nights of continuous of mineral salt water to make 100 mineral salt cakes. 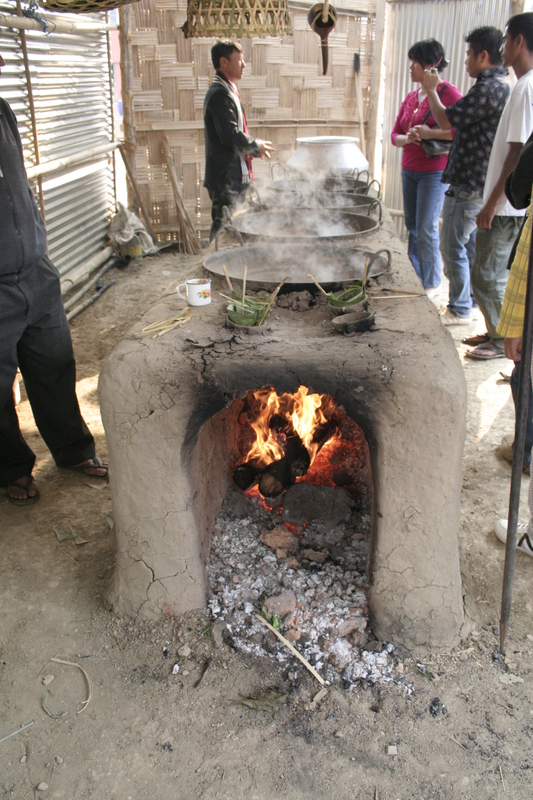 The Ritual: It is imperative that there is some ritual associated with the indigenous salt making procedure. 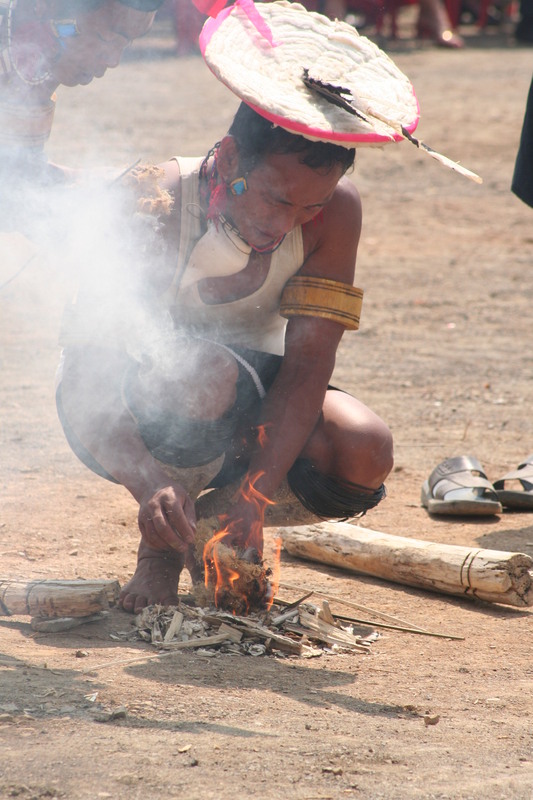 Every new visitor is directed to perform the ‘kela ritual’. This ritual is about offering a few things to the Almighty by the banks of the salt springs. The offerings consist of a few grains of rice or ‘hebi’, two ginger buds ‘kebei ku’ and two chillies ‘heraci’ placed on two broom stick leaves ‘mpiak nei’. Is it Medicine or Is It a Spice? : The mineral salt is known to have medicinal properties. After a day of hard labour, a warm bath with this salt is an instant rejuvenation. It is also used as a tastemaker for local cuisines and is also used as a cooking soda. In the earlier times mineral salt was given only to guests or personnel held in very high esteem. It is utilized as an ingredient for preparation of traditional porridge of the Zeliangrong called ‘takdui’. 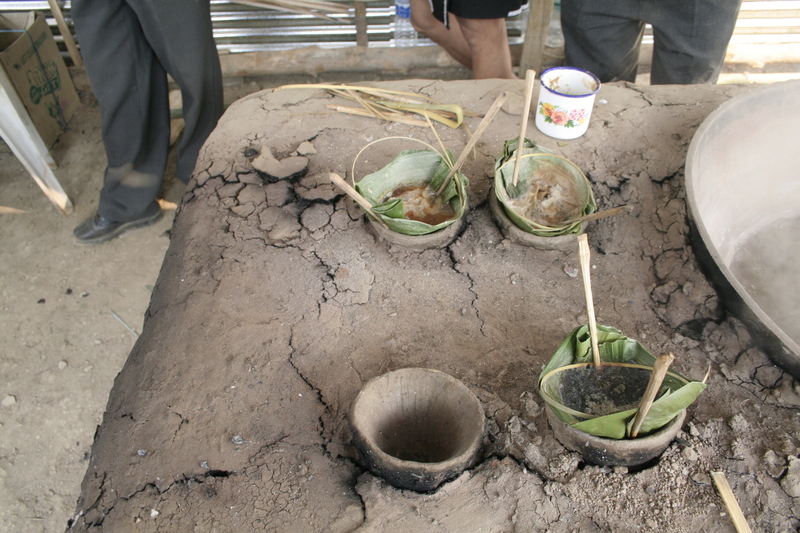 Both the Lekie Cai a well as the concentrated liquid of the Mineral Salt Water are used by the villagers for consumption and trade. The present lot has become enterprising and is bottling the salt. However, it concerns many that the procedure takes up too much of firewood. They are trying to put in practice other ways to distill the water. The Zeliangrong: Peren district is inhabited by several tribes; however the Zeliangrong predominate the region. When I am writing about the district, I cannot help but explain a little bit about this tribe. The Anthropological Survey of India after examining the social structure, kinship patterns, linguistic roots and political organizations have arrived that the Zeliangrong can be classified as an ethno-cultural entity. Racially they are Southern Mongoloid and Tibeto Burman. They are spread across Assam, Manipur and Nagaland. 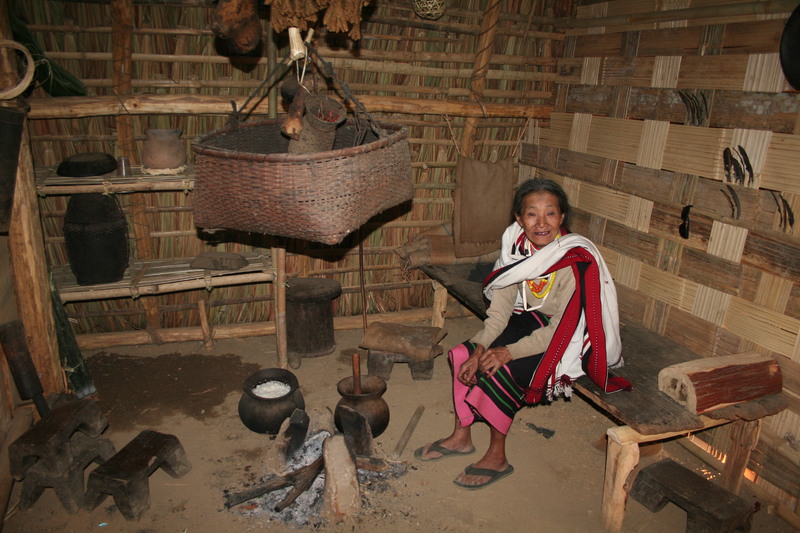 The break up of the term Zeliangrong can be traced to the terms ‘Zeme’ or ‘Mejahme’ meaning dwellers of the warmer or lower region, ‘Liangmei’ meaning men of the North-the original Northerner; the term ‘Rongmei’ on the other hand means people settled in the south or fallow land and finally ‘Puimei’ meaning of Puichei. After India’s independence, a new terminology Zeliangrong was coined in coherence with the solidarity movement. The Zemes, Liangmais and Rongmeis dominate the demography in the district of Peren. The Caves of Peren: To the southernmost end of the Peren district there lie a series of caves at the Puilwa Village. These caves became famous as Rani Gaidinliu’s caves as this is where she went into hiding during her revolt against the British. 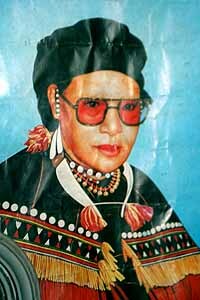 Rani Gaidinliu was a revolutionary freedom fighter and it is her story that I am about to tell you today.Ther are also caves where the legendry Phizo carried out his selfless struggle for the Naga identity. Gaidinliu: Alas! The historical documentation of India in the text books is so insufficient that people like Rani Gaidinliu never make it to their pages. The Zeliangrong have always struggled against the “big and small” imperialism both foreign and local. The Meitei expansionism, the British colonialism and local fights against the Angamis, Kacharis and Kukis have been well known. They revolted with fierce force against the British under the leadership of young and mystic leader Jadonang and continued by his disciple, the fiery and charismatic girl Gaidinliu-later to be renowned as Rani Gaidinliu. The Zeliangrong Revolt took a new turn with Gaidinliu taking charge after the execution of Jadonang by the British. The new struggle was violent and forceful though her soldiers used robust weaponry like daos and spears against the then British run Assam Rifles. Incidentally, she had known of Mahatma Gandhi and even mentioned his name several times to inspire her people. She told them that once the British are gone, a new King named Gandhi would rule their Kingdom. Ironically, they picked up arms to confront the colonial power. The Rani Gaidinliu : Pdt. Jawaharlal Nehru-the then President of the Indian National Congress came to know about the rebellion of Jadonang and Gaidinliu in the winter of 1937. He first learnt in Sylhet that a Naga girl was in prison for life after revolting against the British. In an article in the Hindustan Times, Pdt. Nehru wrote about the uprising and mentions Gaidinliu and calls her ‘Rani’. Though he was highly criticized by the British Manipur State Durbar, called her a political rebel and asked Nehru to stop calling her ‘Rani’. Nehru tried taking help from various people and groups including the Assam Premiere Gopinath Bordoloi, Lady Astor-the first female member of the House of Commons, Manipuri Mahasabha of Manipur and others for the release of Gaidinliu but to no avail. Finally after the declaratuion of India’s independence and Pdt. Nehru taking over as India’s interim prime Minister, was Rani Gaidinliu released from imprisonment. In 1972, during the silver jubilee celebrations of India’s independence Rani Gaidinliu was presented the ‘Tamra Patra’ as a Freedom Fighter of India. What happened between 1947 (India’s independence) and 1993 (demise of Rani Gaidinliu)? That remains for another post…or may be another format all together…That’s what will describe a lot of conflicts and complexities that the region called north east suffers from. The line of conflict of kingdom, nationalism and ethnicity smudges and mingles into one another. It will take another couple of hundred stories.